Do you like Texas Holdem Poker? Share it with your friends. 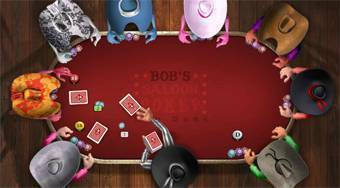 Play the favourite card game called "Texas Holdem Poker". Sit at the table and play poker with other players. Experience how difficult is life for the cowboys in the Wild West. Try to win as much money as possible and buy houses in the town for the money you have won. In the end of the game, play poker tournament against the best poker player in town.